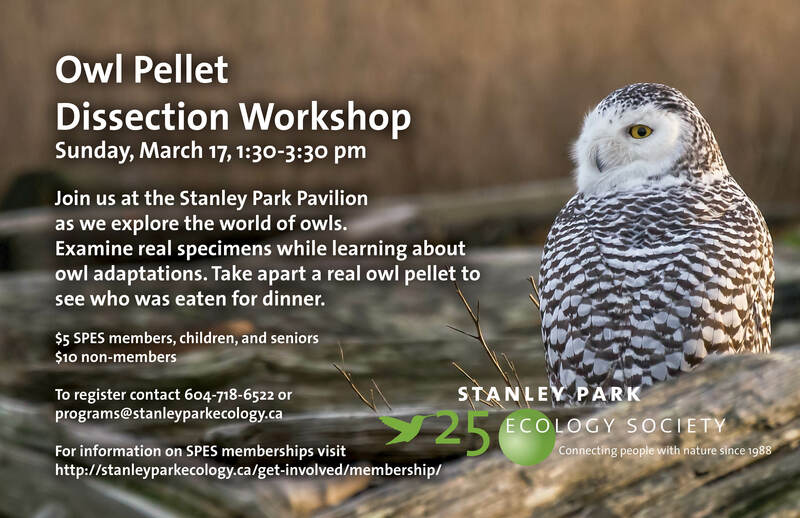 Come down to the Stanley Park Dining Pavilion this Sunday, 1:30-3:30 to learn more owls. Examine real specimens and learn about their adaptations, and take apart an owl pellet to see what was eaten for dinner. Our owl pellet dissection workshops are always popular; not just for kids, adults (parents or not) get really into it too! Preregistration is advised given the popularity of these programs. To preregister email programs@stanleyparkecology.ca.